Joseph "Joe" Lane was an American politician and soldier. He was a state legislator representing Evansville, Indiana, and then served in the Mexican–American War, becoming a general. President James K. Polk appointed Lane as the first Governor of Oregon Territory. When Oregon was admitted as a state in 1859, Lane was elected one of Oregon's first two U.S. Senators. 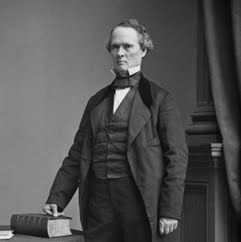 In 1860, Lane was nominated for Vice President of the pro-slavery Southern wing of the Democratic Party, as John C. Breckinridge's running mate. Lane's pro-slavery views and sympathy for the Confederate States of America in the Civil War effectively ended his political career in Oregon. A son was later elected U.S. Representative and a grandson U.S. Senator, making Lane the patriarch of one of the state's most prominent political families.